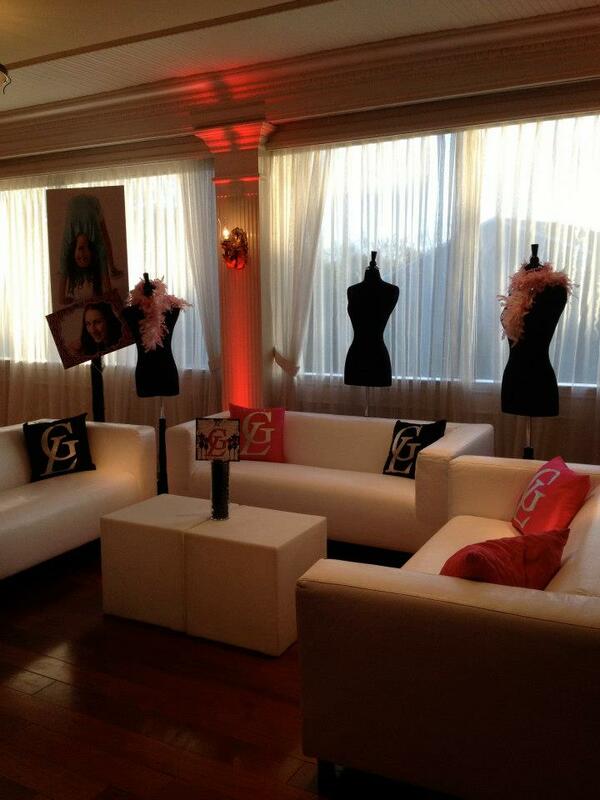 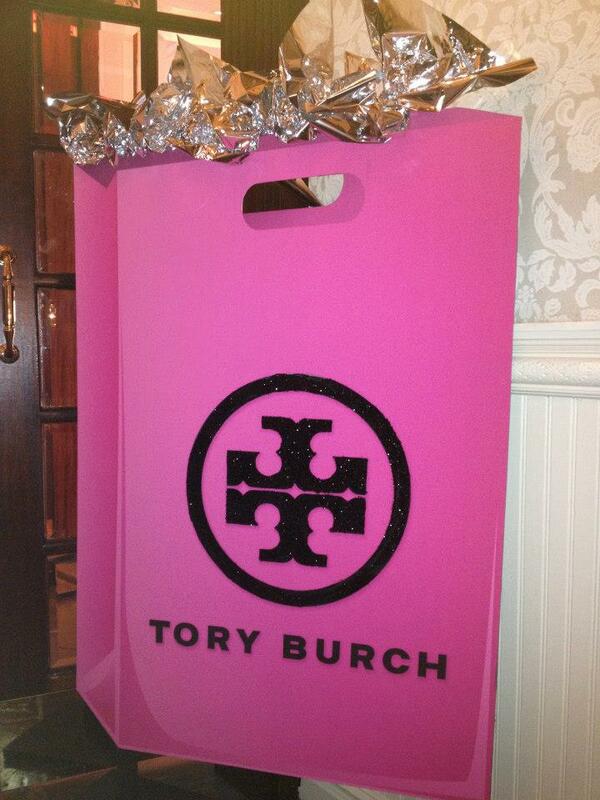 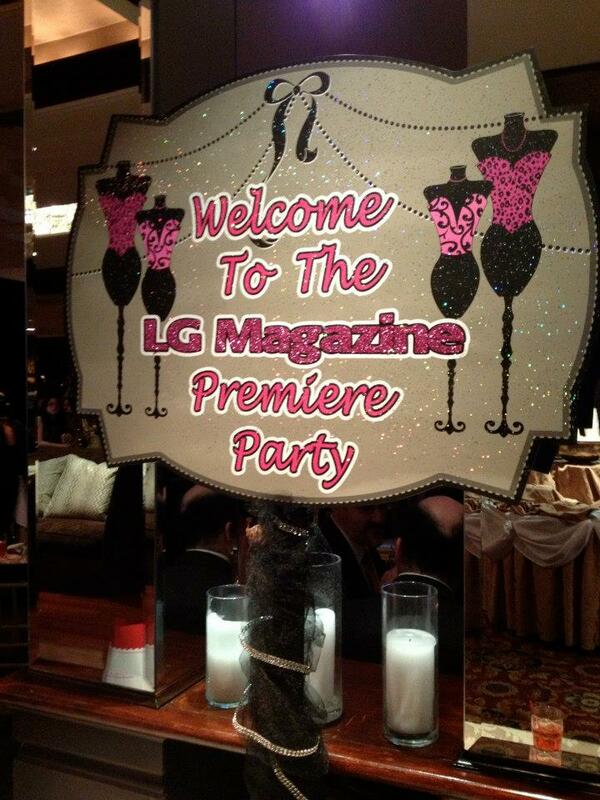 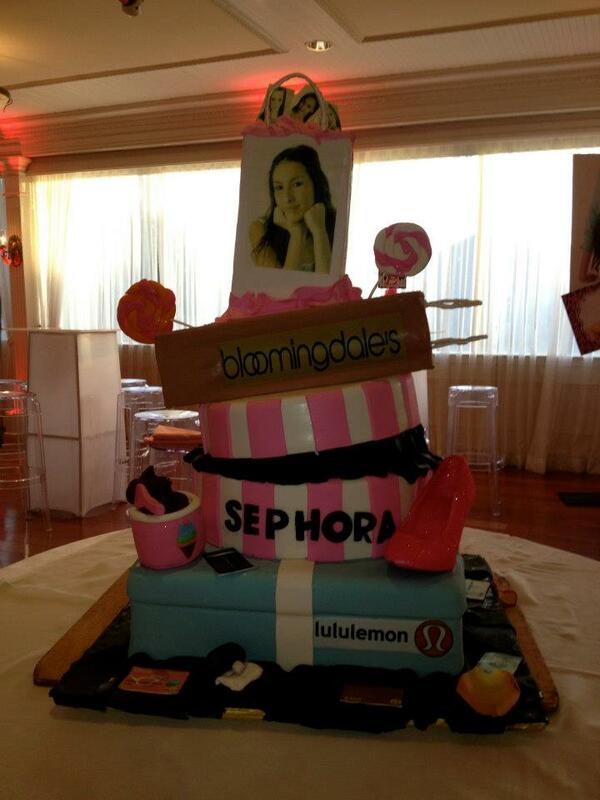 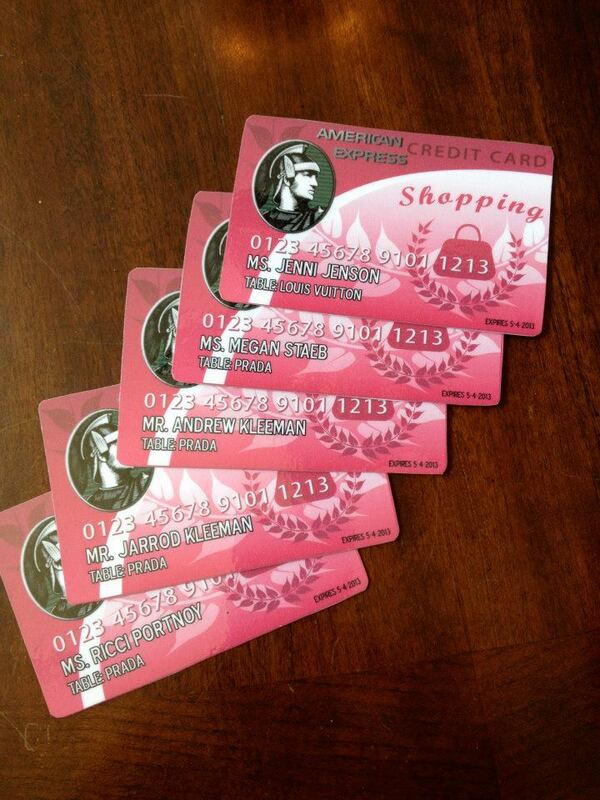 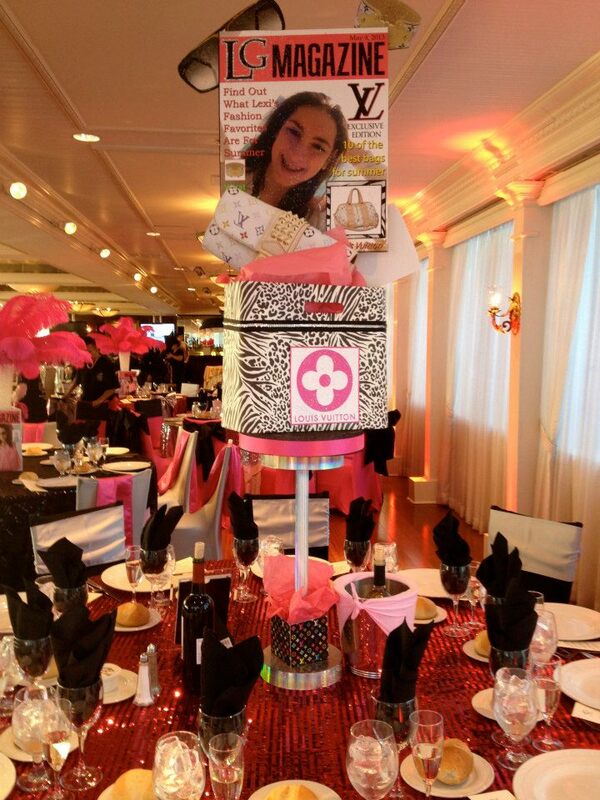 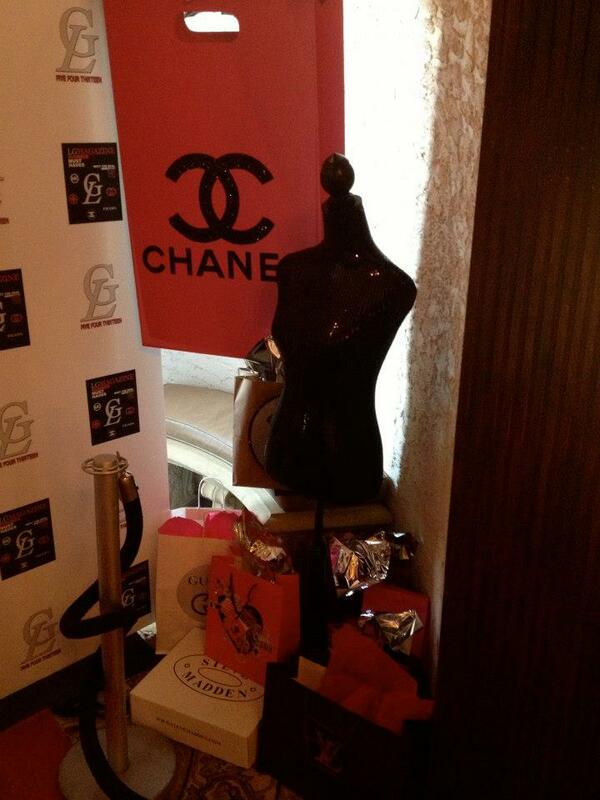 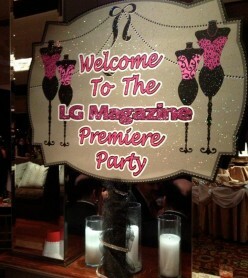 For the this event the guest of honor Lexi wanted to incorporate her love for fashion. 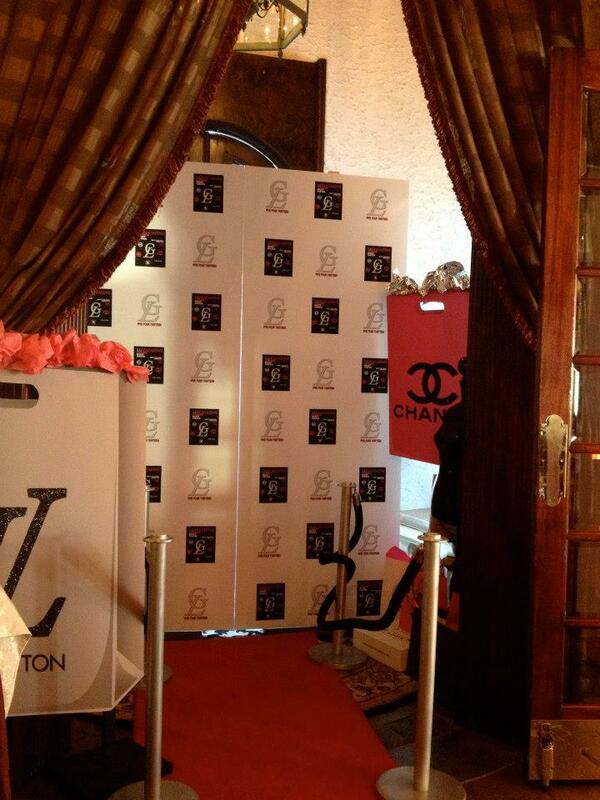 The entrance leading to the room featured a red carpet, ropes and stanchions as well as a vignette of a step and repeat backdrop with oversized glitter enhanced designer shopping bags, dress forms and tons of real designer shopping bags on the floor for guests to stop and take their picture in front of before entering the room! 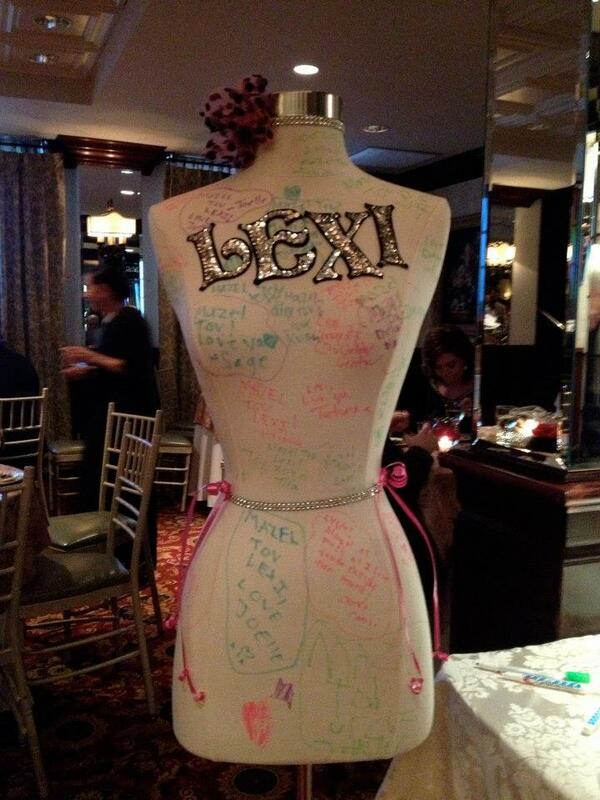 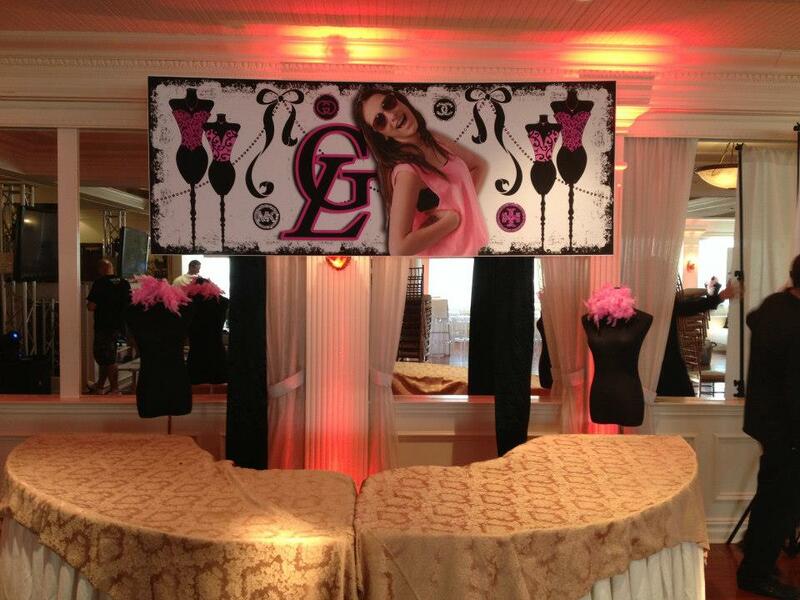 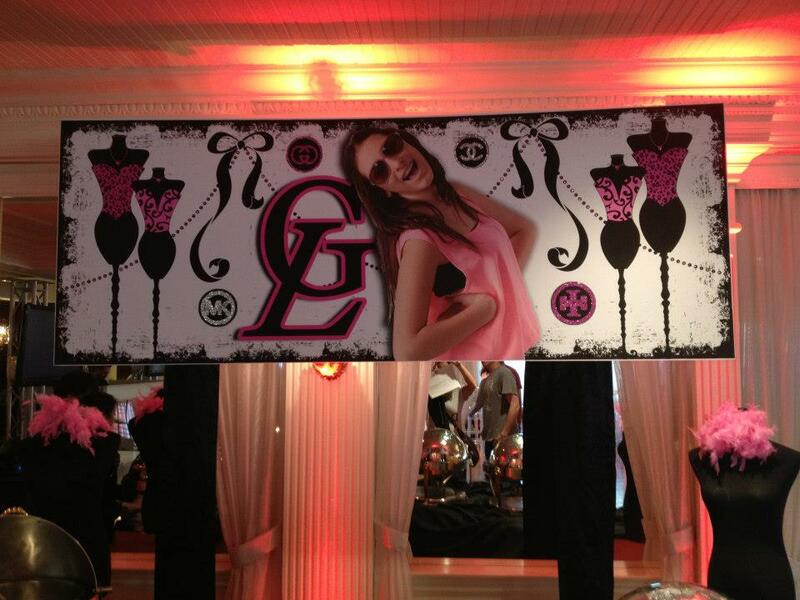 Lexi’s sign in was a real dress form that guests wrote their well wishes on with fabric pens. 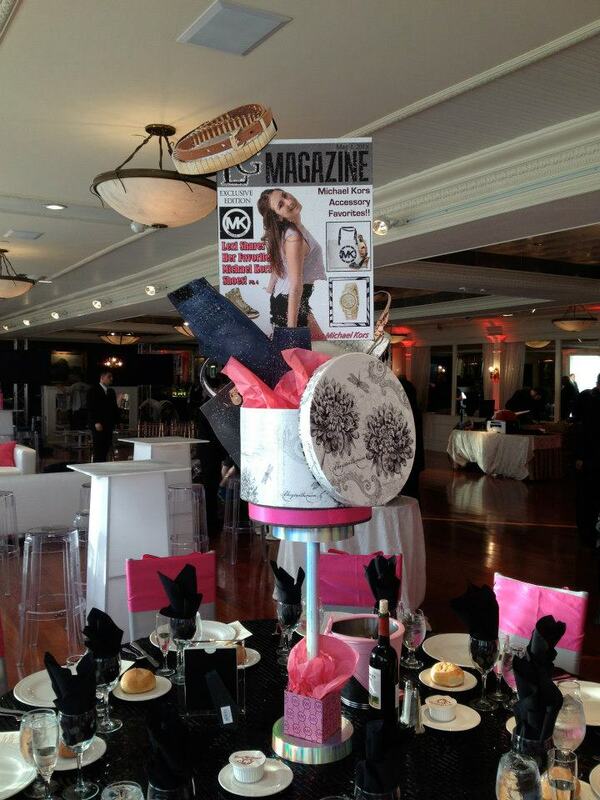 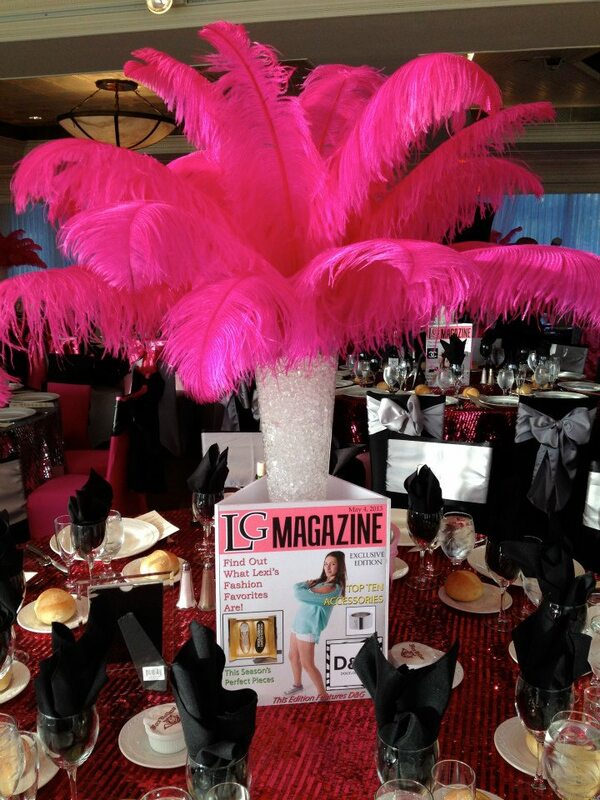 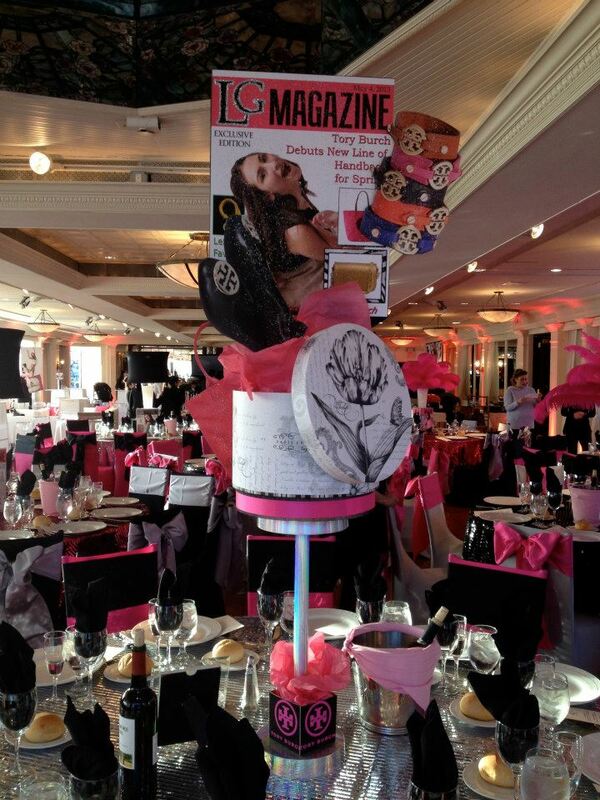 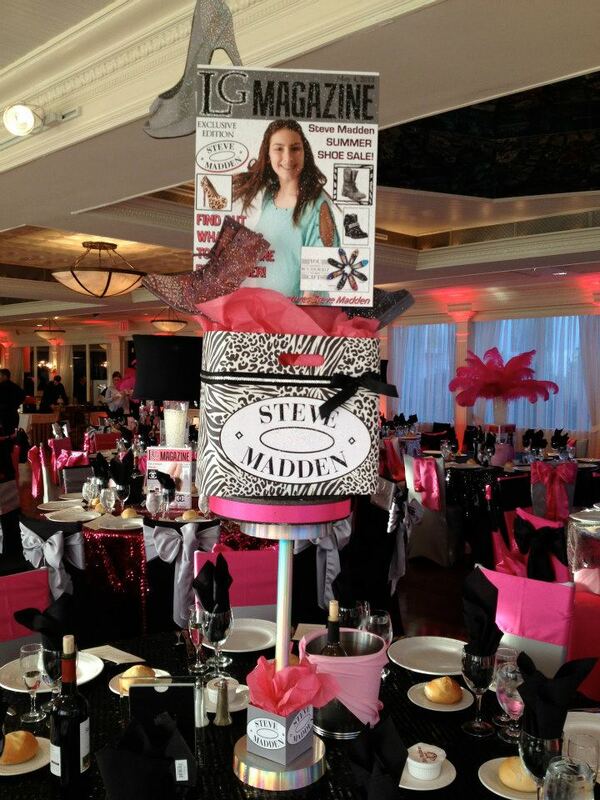 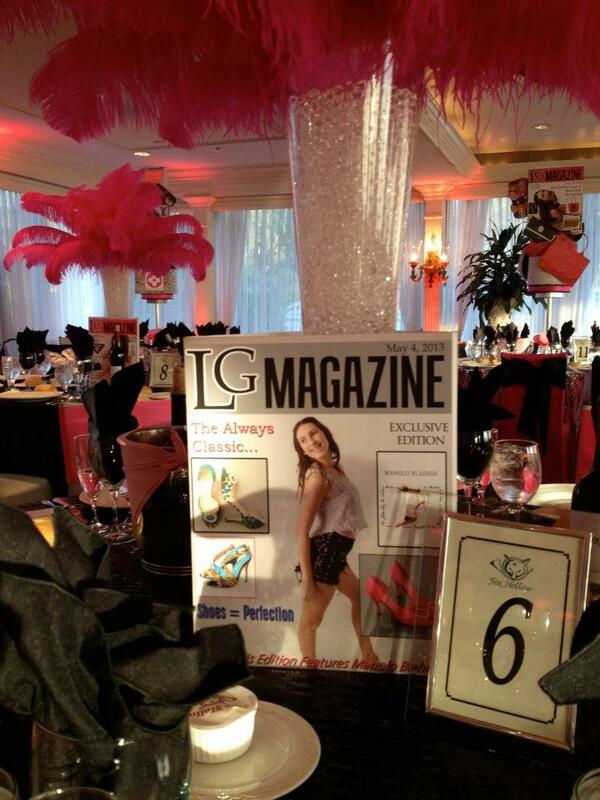 The centerpieces were a combination of feathers, lampshades and hat boxes all featuring a magazine cover with Lexi and a different designer featured on each cover! 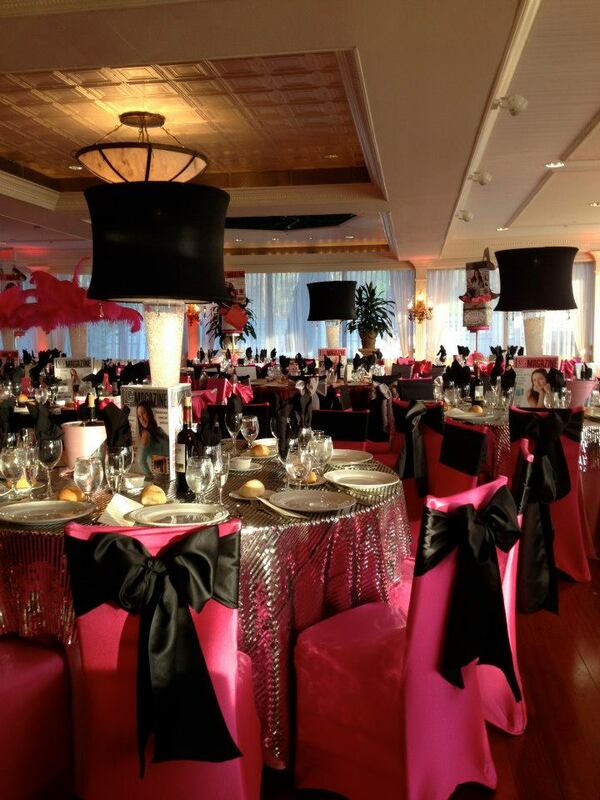 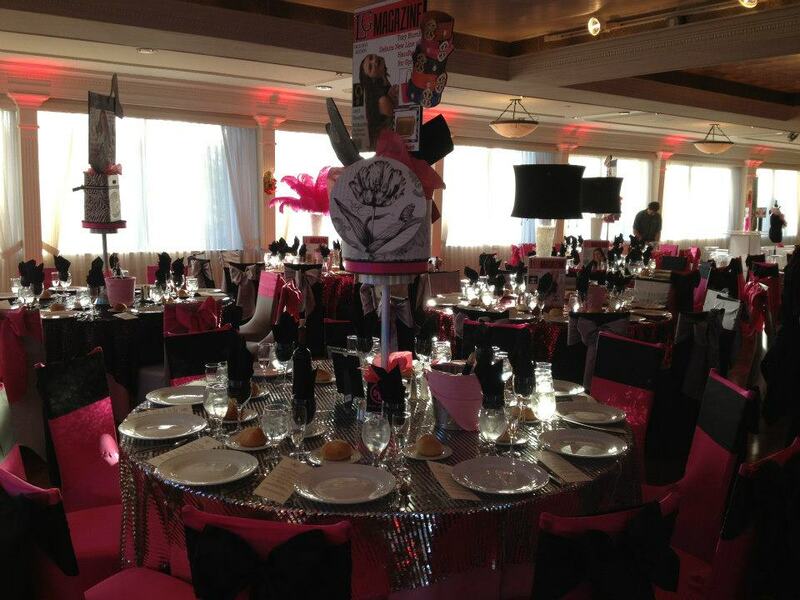 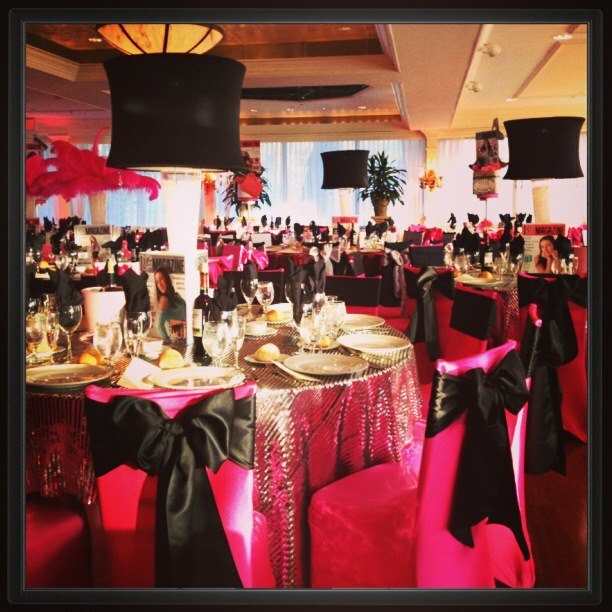 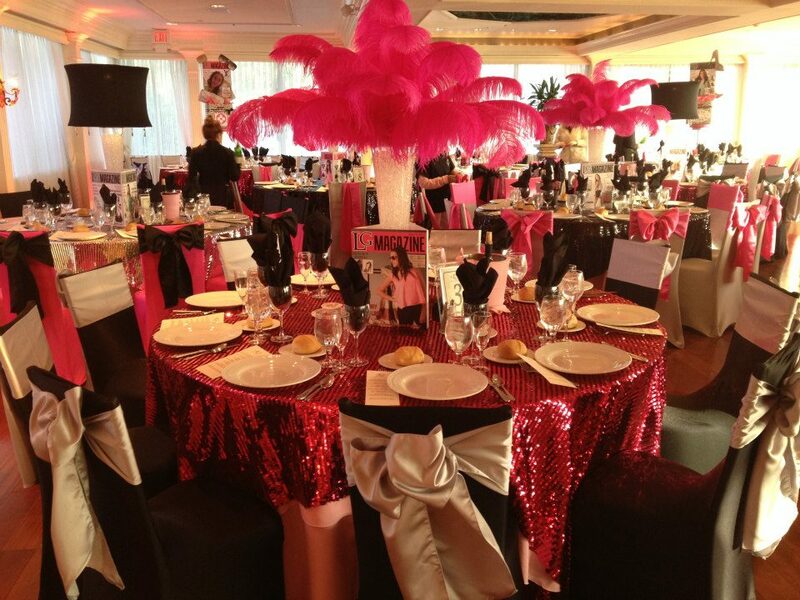 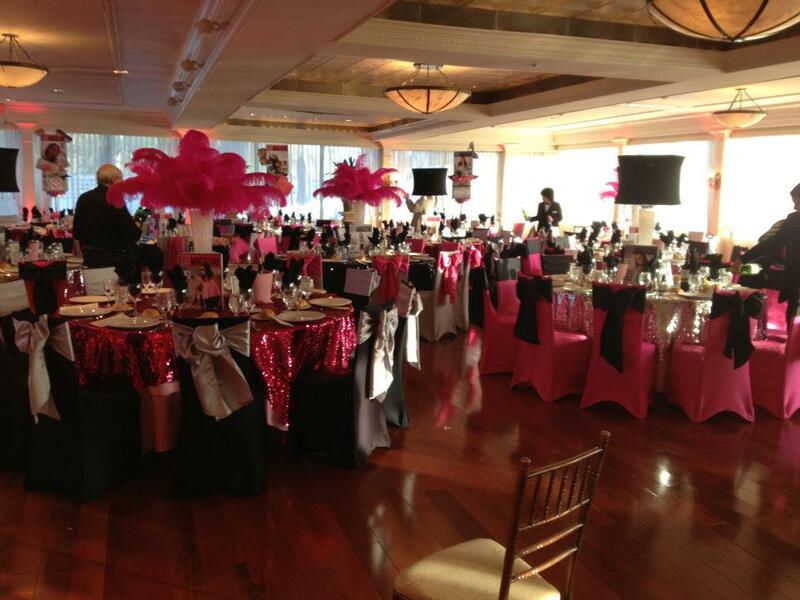 The linens and chair covers with sashes were the perfect combination of hot pink black and silver, all featuring shimmery patterns that lit up the room. 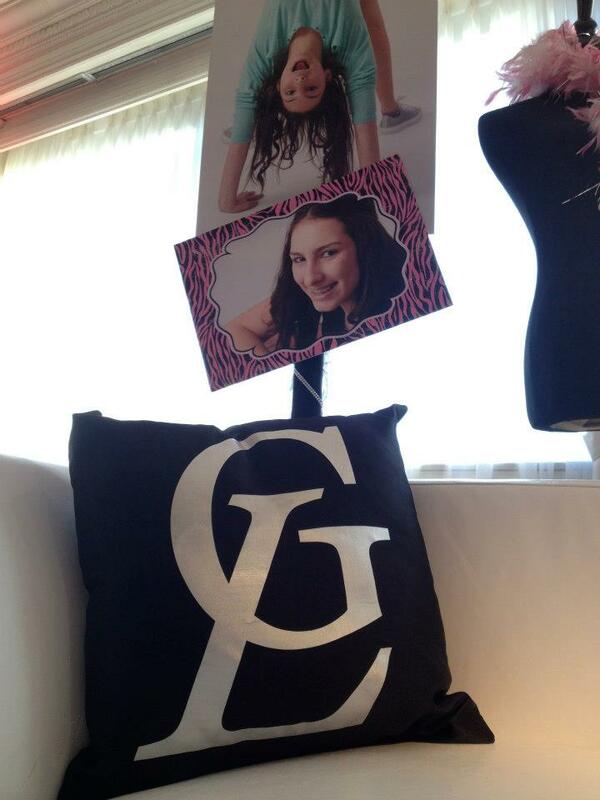 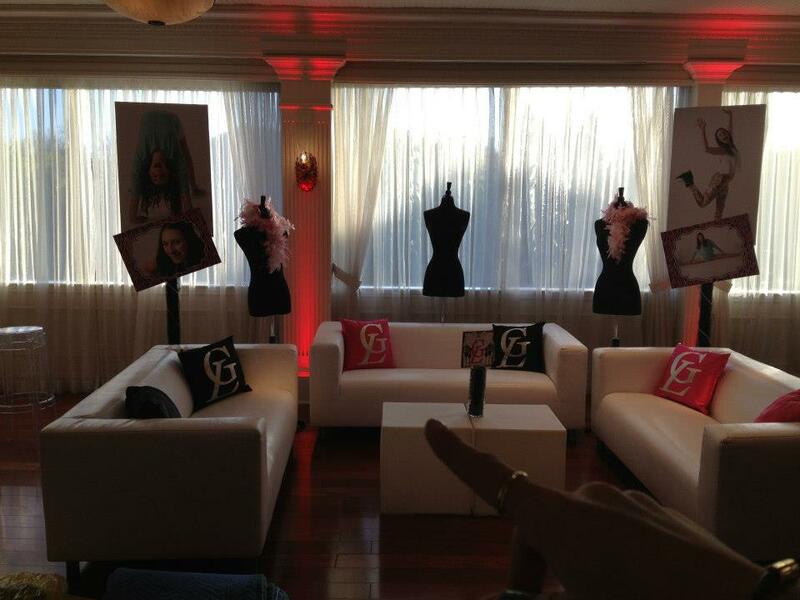 The kids sat were seated in a lounge area complete with light up furniture, custom pillows with Lexi’s logos on them and oversized photos of Lexi throughout. 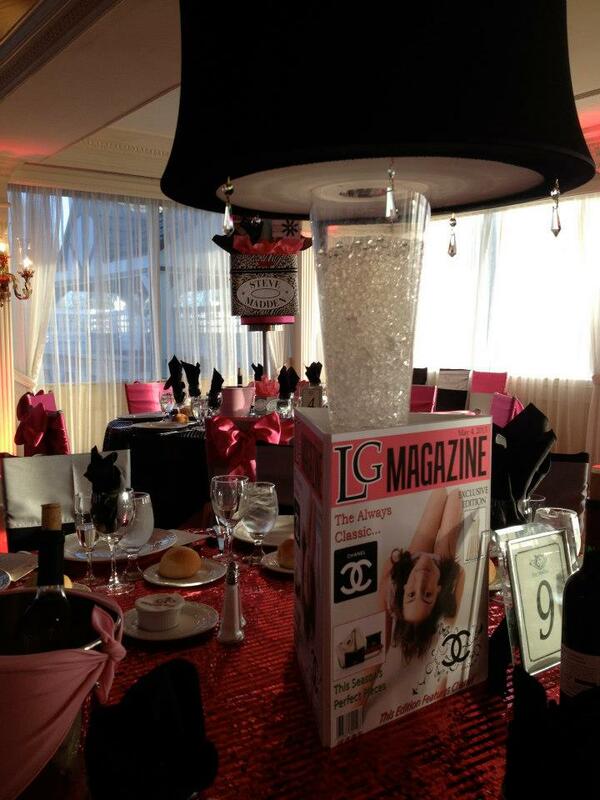 Fashionably fun and fabulous!! 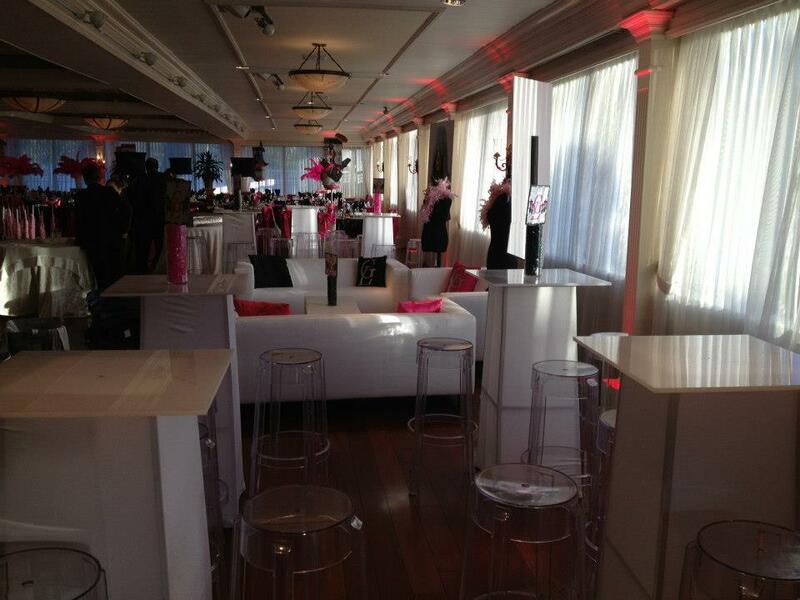 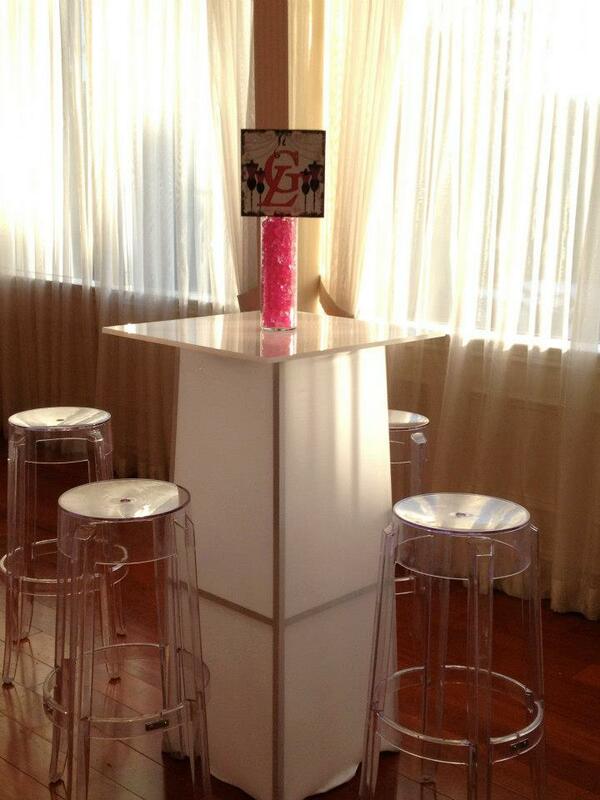 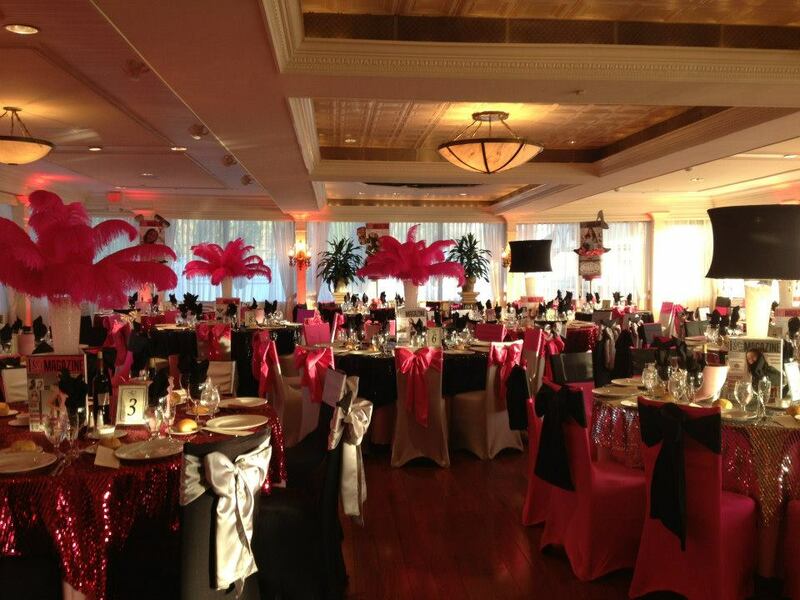 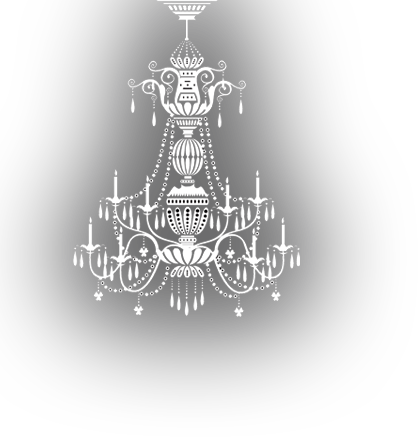 Party Excellence has been proudly decorating events and parties since 1990. 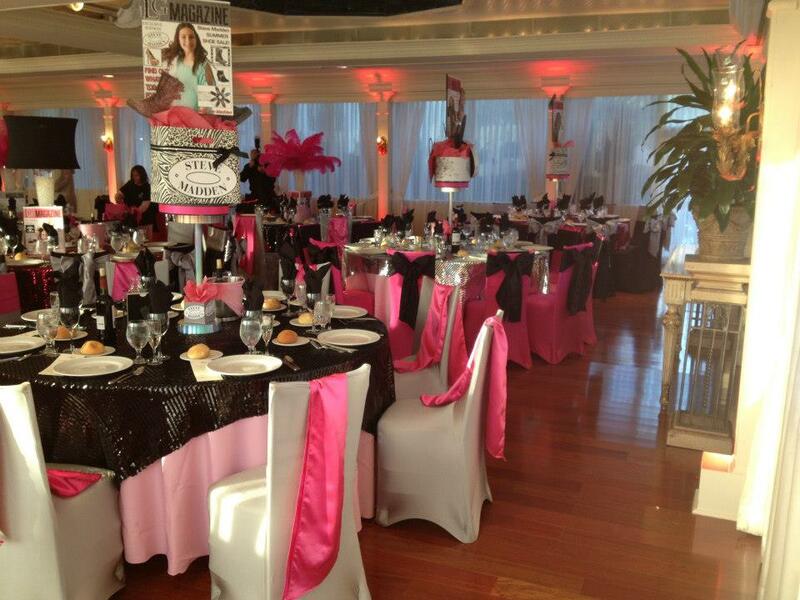 Servicing all of Long Island, NY, New Jersey and all of the tri state area. 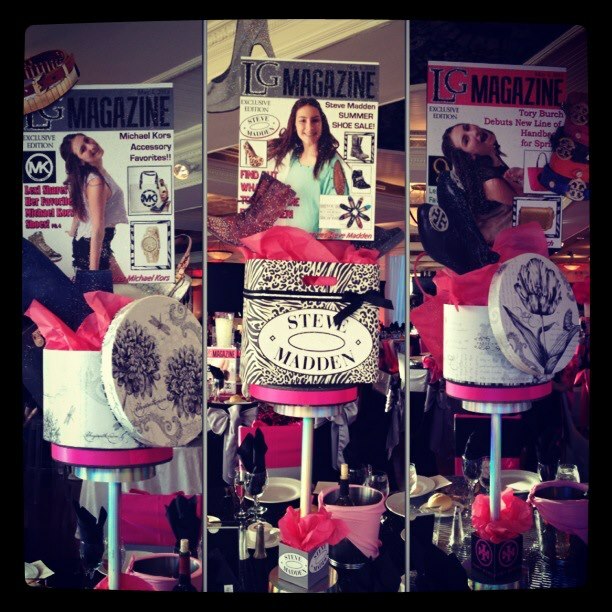 Specializing in custom, themed centerpieces, backdrops, marquees sign in books and boards and all of or any of the event accessories needed to make your party fabulous! 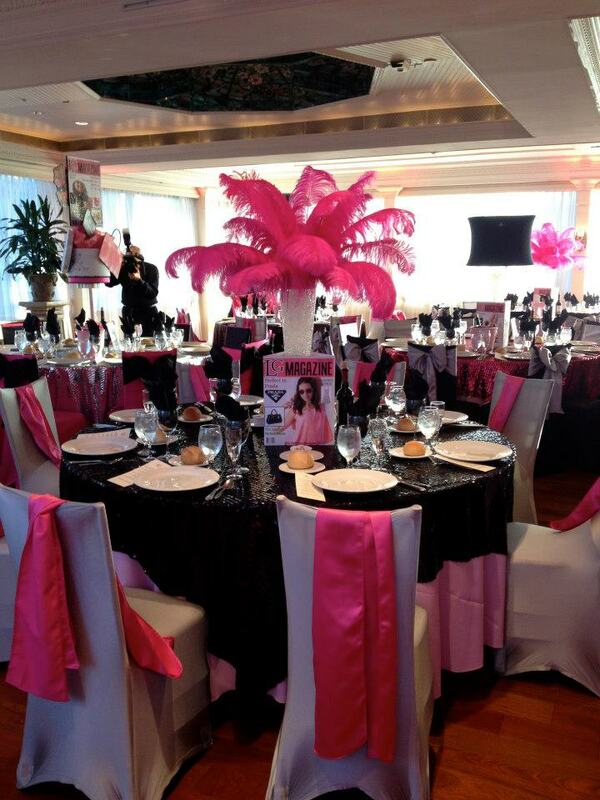 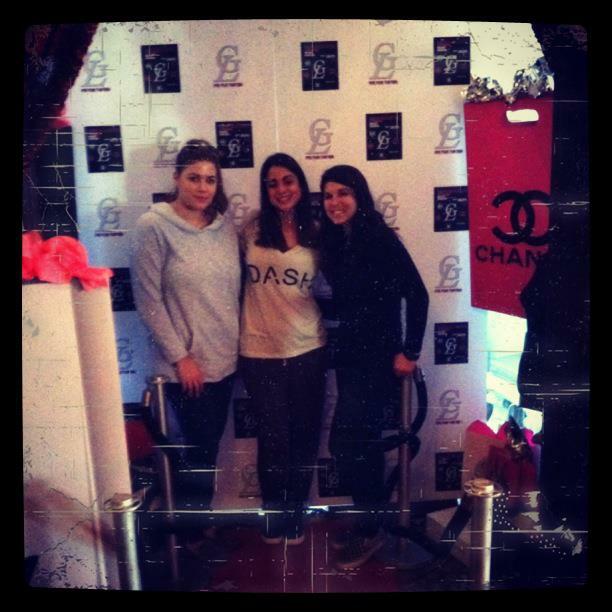 Making your event one of a kind!